From SYNLAB one of Europe’s leaders in Diagnostic testing. A conventional first-trimester screening only provides a statistical risk index. neoBona detects possible chromosomal abnormalities in the future baby using one of the most advanced technology with no risk for the fetus. 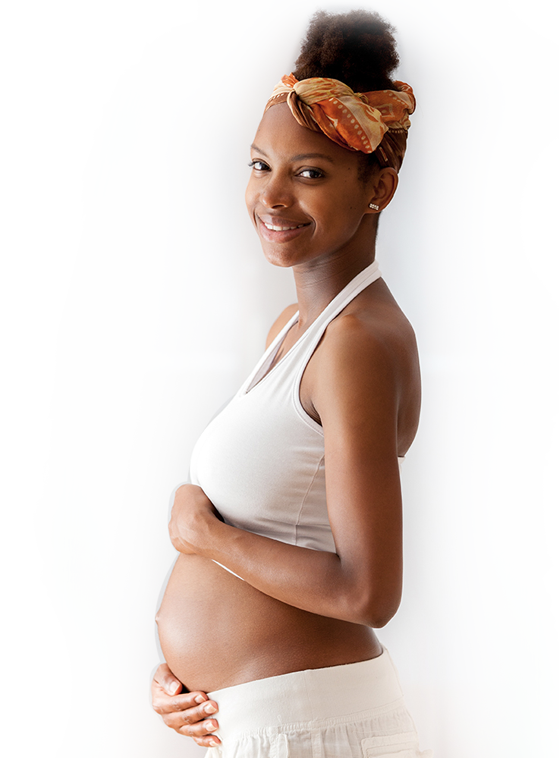 SYNLAB is a pioneer in new advances that make it possible to offer a non-invasive prenatal test on maternal blood giving accurate results in one week. Chromosomal abnormalities, such as trisomy 21 (Down's syndrome), occur in 1-2% of all fetuses. A large range of prenatal tests are available to evaluate the healthy development of the future baby prior to birth. 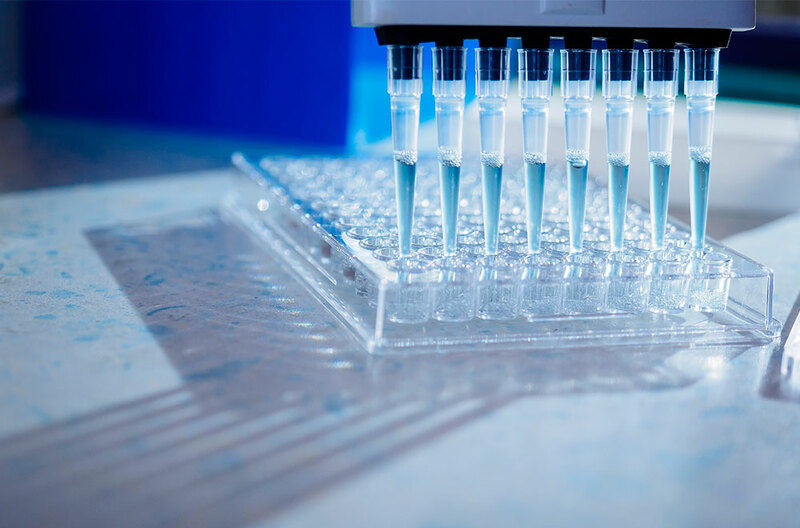 SYNLAB has pioneered molecular prenatal diagnosis by incorporating new scientific advances to offer a state-of-the-art non-invasive prenatal test, backed by the expertise and reliability of one of Europe’s leading laboratories. Thanks to the cutting edge technology. Results typically available in one week. Overall detection rate higher than 99% for Down's, Edward's and Patau's syndromes. A single blood test from the mother. 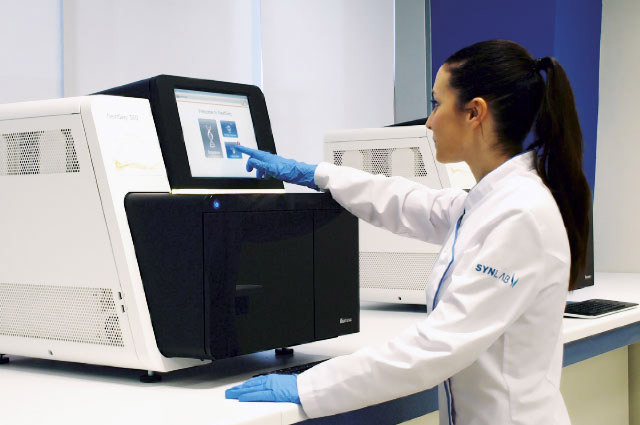 Supported by SYNLAB, one of Europe´s pioneers and leaders in prenatal testing. Detects the most frequent chromosomal abnormalities that occur during pregnancy by studying the cell-free fetal DNA present in the maternal blood. 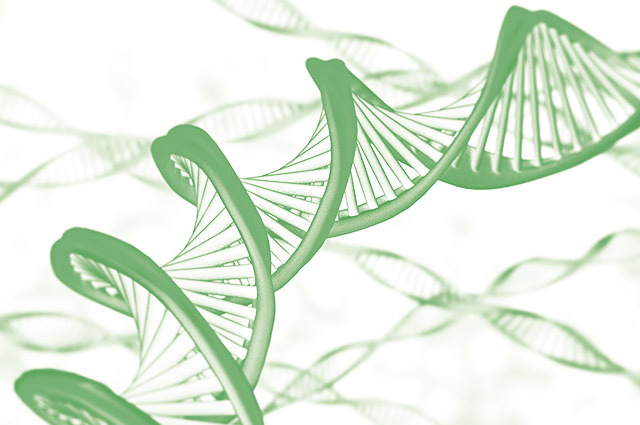 neoBona incorporates state-of-the-art NGS paired-end sequencing technology from Illumina, one of the world leaders in DNA sequencing, providing greater sensitivity and precision. This technology is available exclusively from SYNLAB. The test analyses the amount of cell-free fetal DNA present in the maternal blood (fetal fraction), and uniquely includes the analysis of cell-free DNA fragment size, for the highest accuracy. I am pregnant, is neoBona suitable for me? Is available from the 10th week of gestation. Can be performed in cases of assisted reproduction, including IVF with egg or sperm donation. neoBona is a genetic screening test and as such, must be requested by a clinician. 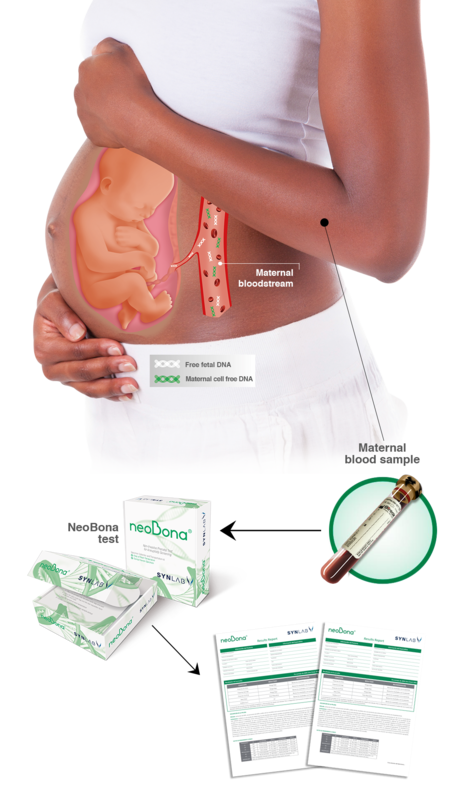 neoBona offers parents confidence that chromosomal abnormalities in the fetus can be detected early during pregnancy. 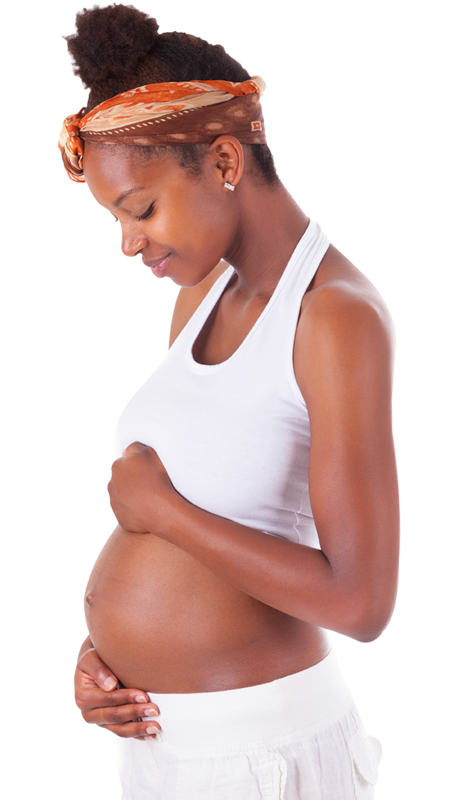 A non-invasive test does not carry the same risk to the mother of the future baby as amniocentesis. Genetic counselling is recommended before a neoBona test. neoBona is the only prenatal test available that has the support of the extensive team of over 1,000 medical professionals and genetics experts to support your clinician. Developed with Illumina, a world leader in DNA sequencing, integrating state-of-the-art technology and know-how to offer an innovative non-invasive prenatal test. Unlike other prenatal tests, neoBona specifically analyses cell-free fetal DNA through sizing technology, improving the accuracy of the result. The innovative algorithm generates the TSCORE (Trisomy Score) using the depth of sequencing, the percentage of cell-free fetal DNA, the quantification and measurement of the fragment size, to obtain reliable results even at a low fetal fraction. The test analyses the amount of cell-free fetal DNA present in the maternal blood (fetal fraction), and uniquely includes the analysis of cell-free DNA fragment size, for the increase accuracy. Conventional first-trimester screening has a sensitivity of about 90%: out of every 100 fetuses with Down's syndrome (trisomy 21), 10 would not be detected (false negative results). The overall sensitivity of neoBona for Down's, Edward's and Patau's syndromes is higher than 99%. Conventional first-trimester screening has a specificity of 95%. In other words, out of every 100 healthy pregnancies, 5 are incorrectly classified as high risk, leading to anxiety, counselling and further testing, including prenatal diagnosis (for example, amniocentesis). The very high specificity of neoBona reduces the number of false positive results to less than 1 in 1,500 pregnancies, diminishing anxiety and unnecessary prenatal diagnosis. What types of chromosomal abnormalities does it detect? Trisomy 21, or Down syndrome, is the most common trisomy; affected children can have mild to moderate intellectual impairment, heart defects and/or other disorders. Trisomy 18, or Edwards syndrome, has a high incidence of miscarriage. Affected infants typically have severe malformations and mental retardation, and rarely survive beyond 1 year of age. Trisomy 13, or Patau syndrome, has a high incidence of miscarriage. Infants with Patau's syndrome have severe mental retardation, can exhibit severe congenital heart malformations as well as other pathologies, and rarely survive beyond 1 year of age. Turner Syndrome (45, X), the absence of an X chromosome in girls. Klinefelter Syndrome (47, XXY), the presence of an extra copy of the X chromosome in boys. Different options are available; your physician can evaluate with you which one is the most appropriate. More than 15 years innovating in prenatal diagnosis. Operates in more than 35 countries in 4 continents. More than 450 million tests a year. The company has a network of over 550 laboratories. Over 1000 medical professionals and genetics experts. © 2015-2019 neoBona is a registered trademark of SYNLAB. All rights reserved.